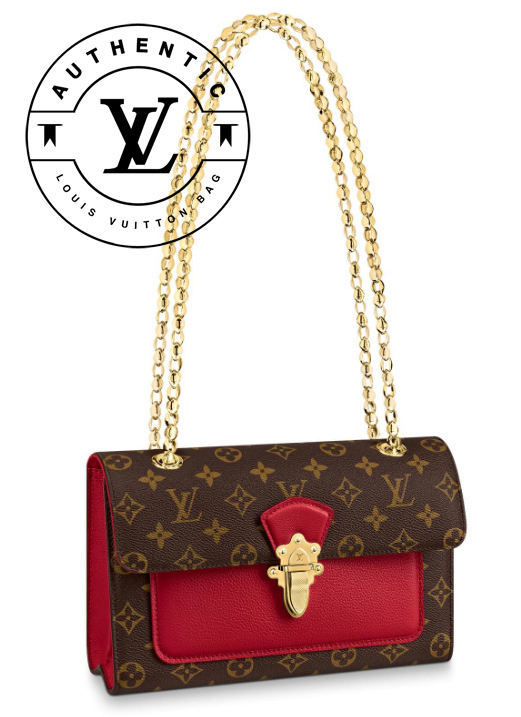 For those who adore the beauty of vintage inspired fashion items, the 2019 Louis Vuitton Victoire handbag is a breath of fresh air. It is not only elegant, but sophisticated, somehow modern, unconventional and versatile. Being a day-to-evening bag it offers exactly what you need to transition from a formal day at the office to a chic night out with friends. I absolutely love it. Louis Vuitton has really done it again. Its Victoire line is a unique and amazing collection of classic purses with a historic distinction reinterpreted in a stylish contemporary mode that appeals to your aesthetic senses. There are a few bags that can rival its exquisite design and flawless execution. 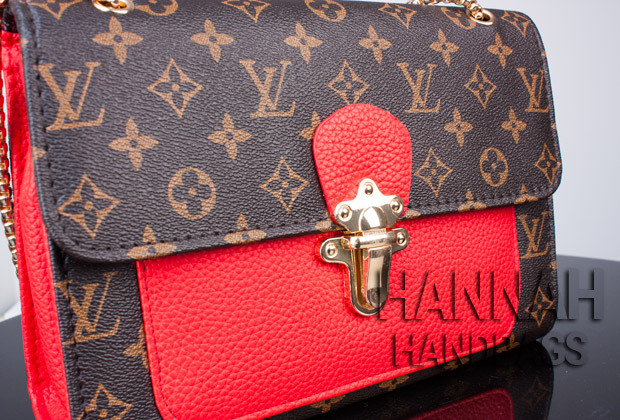 By combining the iconic Monogram canvas with colorful calfskin as well as a clasp and sliding chain in shiny metals, Louis Vuitton has created a purse that is simply mesmerizing. As you can probably tell, owning the LV 2019 Victoire is one of my dreams. At least, it was until last week when I ordered and got a replica of this bag. Sadly, it wasn’t what I wished and expected it to be. Instead of getting a high quality replica as it was advertised online, I got an inferior copy that doesn’t even come close to the real one. This is what happens when you make an instinct purchase without researching the company and reading reviews about the products. One would think I know better than that. Just in case you were curious about how much this Louis Vuitton Victoire replica bag has disappointed me, I have included photos and my thoughts about the product below. The Louis Vuitton Victoire comes in considerably modest sizes. It measure 10.2 x 6.9 x 3.7 inches (Length x Height x Width). But even though it is small, the bag is very functional and versatile. It has the right size for fitting in all your lady essentials. From phones and wallets to keys and lipstick, this bag is the perfect choice, the purse that serves your style needs best. As far as measurements go, I have nothing to complain about. This replica has the same sizes and pretty similar weight. The problem is with the way it looks and its details. 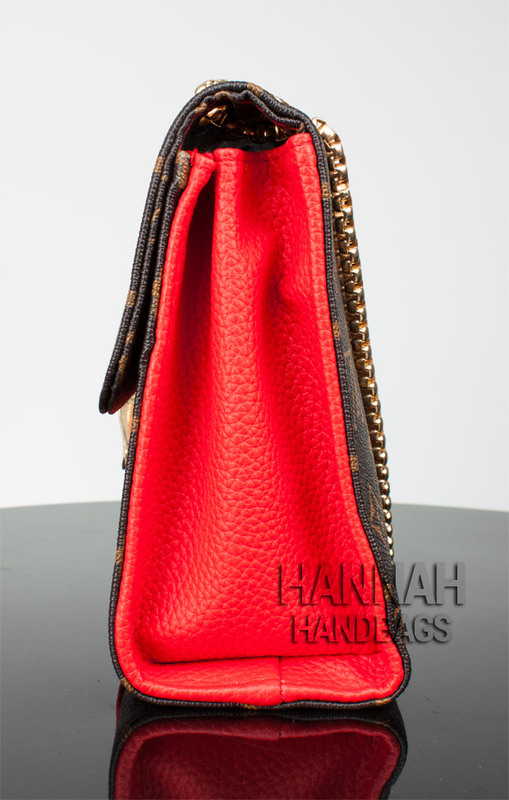 Just as the original Victoire LV purse, my imitation comes with the famed coated Monogram canvas and red calfskin front pocket. But it does not have the red calfskin trim. Instead, the trim is crafted from regular Monogram canvas which is a huge give away. The other thing I have noticed when I unpacked my replica were the uneven lines, stitching and shape. Everything is terribly crooked. The flop has a horrible asymmetry due to the sloppy way in which this has been cut and manufactured. Then the red calfskin leather pocket over the front part of the Monogram canvas is uneven as well. And let’s not ignore the fact that the red color is also different. The original Victoire comes in a more burgundy tone of red while my fake has an almost orangey shade of red. These mistakes are quite obvious and could be spotted even by an amateur as they do not reflect the bad degree of replication, but rather the inferior quality of the craftsmanship. As any other LV purse, the 2019 Victoire comes with exquisite hardware. Available in a stunning gold color, the long sliding chain and the vintage inspired clasp complement the overall elegance of the bag. On the replica the gold hardware has no shine, is very dull and lacks many of the distinctive markings that are present on the authentic purse. 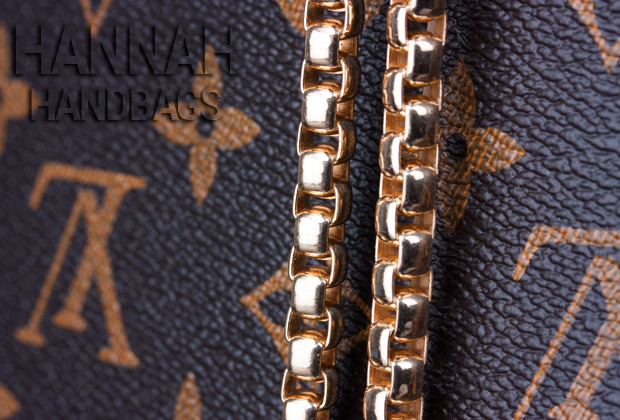 For instance, the chain of the real LV Victoire comes with cable style links while on the replica these are box style links witch is obviously strikingly different. Similarly, the clasp has a slightly distinct design. It doesn’t have the LV logo and the 4 decorative screws. Instead it just has 4 raised dots. The inside of the knockoff is just as bad as the outside. To be more exact, the lining was supposed to be microfiber, but instead it is a shiny and cheap looking leather. The central zipper compartment was supposed to have a gold zipper, but the replica has a pinkish plastic zipper which creates a very unaesthetic contrast. But wait, there’s more. The LV Victoire comes with a burgundy leather tab on the inside that has embossed on three lines the following wording “LOUIS VUITTON/ PARIS/ made in Spain”. 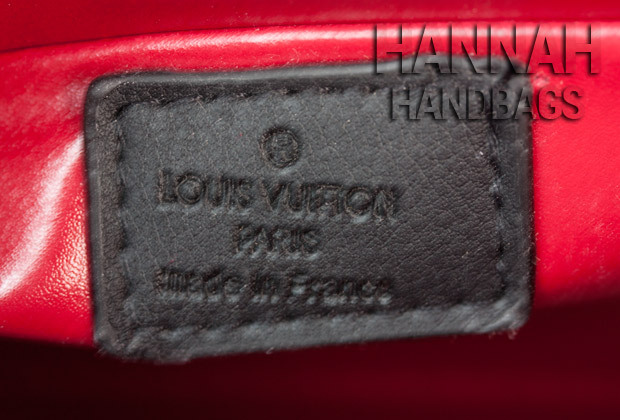 The imitation bag comes with a black leather tag that is stitched in a very sloppy manner and has the wording “LOUIS VUITTON/ PARIS/ made in France” crookedly embossed. Even the sides of this clone handbag are of shady quality. On the actual purse the sides have a very clear and firm structure, beautifully defined lines and perfect stitching on the edges. 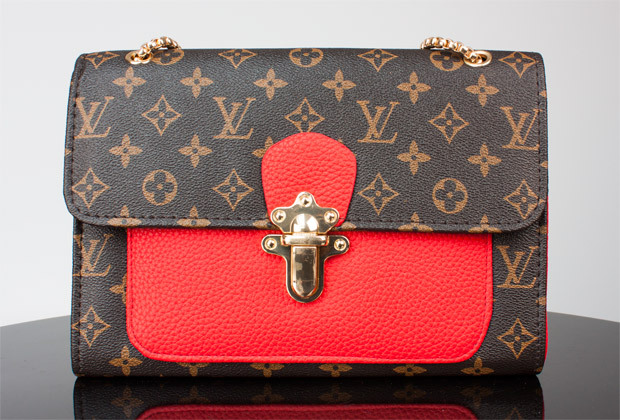 Oh, and let’s not forget that the red burgundy leather is of exquisite quality on the original LV purse, while on the replica the orangey calf leather is practically just a cheap imitation of the grainy pattern which is anything but flattering. 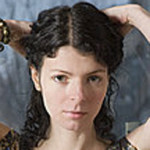 Honestly, the more you study this product the more flaws you notice. And last, but not least is the stitching which I think should never be ignored on a purse. After all, beauty is in the details. On the authentic Louis Vuitton Victoire 2019 the stitching is a piece of art. Clean, nicely defined and discrete, this manages to augment the beauty of the bag. Unfortunately, the same thing can not be said about the replica I have ordered online. On my knockoff the stitching is a total disaster. Loose threads, uneven, crooked stitches and incorrect color for the threads are just a few of the things that bother us when we take a look at this poor quality imitation Victoire LV. The only possible conclusion here is that you always have to do your research and pay great attention when you buy a replica online. It is essential to have good reviews for the company and the products they are selling. Not all online companies are the same and certainly not all replica bags are the same quality. This time I was incredibly unlucky because I didn’t do my research and I took my chances with the first replica I came across. The result was a disaster. I paid a lot of money for a knockoff that looks horrible and feels even worse. The leather is of inferior quality, the craftsmanship is terrible, the shape and details lack refinement and symmetry and the hardware is cheap looking. Everything that could go wrong in a replica bag can be seen on my imitation LV Victoire. For me, it is a lesson. You always need to be sure when buying a replica bag online. You need to read as many reviews as possible and make decisions based on facts not on chances.